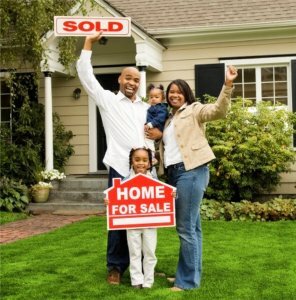 Sell Your House Fast In Reisterstown, MD. We are a local real estate company that buys houses directly from homeowners. We have the funds ready so we do not need to go get financing at a bank. Since we don’t have to wait on banks, we can close as soon as next week. You can get a fair cash offer today. Then you just have to pick up your check at closing as soon as next week. How To Sell My House Fast In Reisterstown, MD. Do you want to sell your house? Great! We buy houses. Just contact us. Even if a real estate brokerage cannot sell your property, we can give you a fair written offer. No pressure. No obligation. No commissions. No more waiting. Using an a real estate brokerage does not work out for everyone. It typically takes several long months. The commissions and fees are expensive. And there is no guarantee that they will even find a buyer. When you call us or submit the short form below, we’ll quickly give you a fair all-cash, no-obligation offer on your Reisterstown house. And remember it does not matter what condition your house is in because we will not ask you to do any repairs. We have a team that does that after we buy your house. We help people who are in tough situations, such as death of a family member, foreclosure, divorce, difficult rental property, unaffordable repairs, and many others. We can help people by buying their Reisterstown property at a fair price and using all cash. Many people who call us are just too busy to prepare their property to be for sale on the market. If that sounds like you, then let us know and we’ll give you a fair all cash offer. You can sell my house fast.